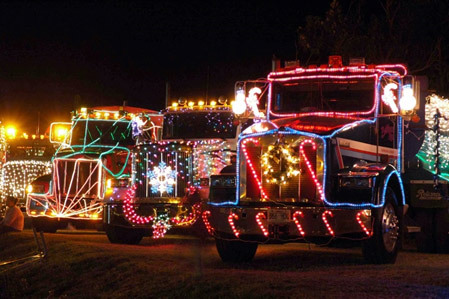 The Christmas holidays have arrived and with it the demand for prompt deliveries, pickups and service calls. Businesses require goods to be available ASAP either for stock for retail sales or to fulfill customer orders. GPS vehicle trackers enable fleet managers to meet demand this Christmas. While your fleet vehicles are in the field busily making their pickups and deliveries (or providing services) it’s very important to plan their routes and maximise their trip stops to increase delivery efficiency. Nothing’s worse than leaving this to the drivers who then need to communicate with each other repeatedly to avoid unnecessary back-tracking and trips. The head office really must take an active role to co-ordinate the fleet to reduce delivery times and improve service calls over the Christmas period. With GPS vehicle trackers installed in your fleet vehicles you will have real time updates on the location of each vehicle and be able to re-route them to avoid unnecessary delays. It’s important to have drivers maximise their delivery and pickups tally each day. Anything you can do to reduce their administration, base communication or navigation time means more time being productive. GPS vehicle trackers record and log stops and travel distances which can be used as a ‘virtual’ log book, making it easier to compile log book data with delivery information. Also certain model GPS vehicle trackers such as the fleetminder Platinum NxtG+ can be integrated with Garmin touch screens allowing the base and drivers to communicate easily, and also allows the base to set delivery/pickup or service stops for the driver making it easy for them to select the next stop and be given the quickest navigation route. This all adds to 30 to 60 minutes each day which over one week makes a significant improvement to the driver’s efficiency (by over 12%). Customers also are busy with work and their personal lives during December and the Christmas period and the last thing they want to do is be waiting by for their orders. Giving accurate delivery, pickup or service call times to customers by using GPS vehicle trackers in your fleet will keep them happy and will increase customer satisfaction. fleetminder, an Australian company has a range of suitable vehicle trackers for fleet and services businesses in Australia.